Jun Chiyabari is one of the most recognized names in Nepal’s tea industry. The high mountain tea garden was started by two brothers, Lochan and Bachan Gyawali. I’ve been enjoying teas from their garden since 2010 and they just keep getting better with each passing year. It would be a mistake to compare their teas to those from Darjeeling — Jun Chiyabari is truly in a league of it’s own. Recently I spoke at length with Bachan and Lochan about their garden, how they got started, their tea making philosophy and what the future holds for Jun Chiyabari. Enjoy! How did you both get started in the tea business? Basically, over lunch in early 2000. Bachan and I had gone to a boarding school in Darjeeling. So 8 – 12 years of our childhood was spent in Darjeeling surrounded by tea. Our school was set amidst tea gardens. Often the aroma of tea from Tukvar, Singtom, and Phoobshering suffused through the crisp mountain air. From our classrooms we had a grand vista of green tea trees that extended from the school playground all the way down to the Teesta valley. The melancholic Nepali love songs of the tea pluckers wafting up the valley are still vividly fresh in our minds, even now. Tea had subliminally become synonymous with all the good memories from our school days. The family has been in tourism business since 1975. In 2000 we were also involved in various other businesses like LPG (cooking gas), manufacturing and exporting electronic components etc. to the likes of Siemens and Matsushita (Germany-Japan) and Tyco Electronics in the US. Some of our businesses were 100% export oriented and some purely domestic. So from a business point of view we wanted to get into something that used local raw materials and could be exported as well as sold locally. Tea was the natural choice, perhaps because of our school connection. We thought that opening a unique tea garden in east Nepal would be a venture that would connect us emotionally to our childhood as well as close that gap in our business portfolio. Did you both start Jun Chiyabari, or did you buy the garden? Throughout 2000 we undertook several reconnaissance missions to the hills of east Nepal. We studied areas there to try and find a perfect home for our project. One of the factors was climate change and global warming. Global warming was a big factor in us choosing to go a bit higher up than normal. We did not rule out buying an existing tea garden. As a matter of fact we almost bought a tea garden in Saptami, Panchthar that had met our criteria. We had even reached an agreement and had paid an advance to the owners of North Nepal Tea in Panchthar for this purchase. Fortunately or unfortunately it did not work out because of some sort of conflict between the owners of that tea company. So we ended up starting from scratch around the small town of Hile in Dhankuta district. The name Jun Chiyabari means “Moonlit Tea Garden”. Jun means moon in Nepali. One of the reasons we chose this name was to honor our father whose name is Chandra, which also means moon. We also wanted a name that was easy for the customers in the western world as well as the east like China and Japan; and Nepal of course. Jun fit the brief! Later on we came to realize that the character in Japanese (純) pronounced as “Jun”, means pure. That character 純 fittingly embodies our philosophy of the purity of the Himalaya in our teas. Where is the garden located in relation to Kathmandu, Pokhara, or Darjeeling? We are in Dhankuta district of east Nepal near the small town of Hile (27°01’00.0″N 87°19’00.0″E). That’s about 200 km east from Kathmandu (on the map as the crow flies) and about 100 km west of Darjeeling in a straight line on the map. Some of our customers call Dhankuta “The Flavour Belt of Nepal”. Do you only produce orthodox tea? We prefer not to use the term “orthodox” which would bracket us in the Indo-British tradition which we are not a part of. We produce high mountain teas. All our tea comes from small plots between 1650 meters and 2100 meters above sea level which are within a 10 km radius of our factory. Within and between these small plots on the hilly slopes are forests, bamboo groves, rocky boulders, brooks and streams. This is the terroir from which our tea is created. What cultivars are in use at Jun Chiyabari? The garden was planted out in small plots with small patches of good local cultivars. So each tea is a mix of various cultivars. Some of the plots that we bought already had tea trees from the old Imperial tea from Ilam. Most of the cultivars are from the region, which basically means Darjeeling cultivars like P312, B157, AV2 etc. When we started we had no idea about tea, hence this mistake of having lots of Darjeeling cultivars. We are now slowly rectifying this mistake with the seeds and cuttings of old Imperial bushes as well as cultivars and varietals from Taiwan, China, and Japan. In the absence of tea research stations in Nepal we have no choice but to create our own cultivars. I think we will make a good run of it. How many different styles of tea are you producing? We have white teas (3 types – buds only, bud and one leaf, bud and two leaves). We have three types of partially oxidised teas (lightly oxidised, medium oxidised and highly oxidised). These are called wulongs by others. 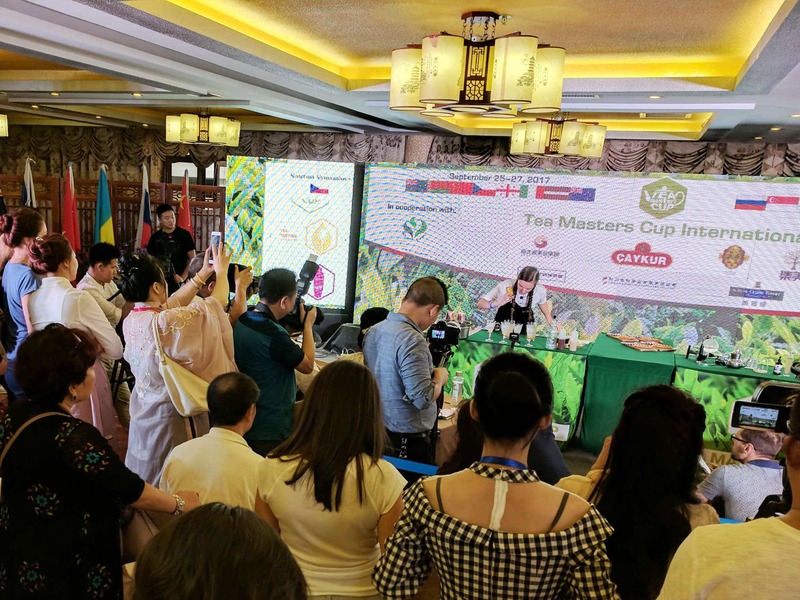 Again we prefer not to use the term “wulong” as it is pretty much exclusive to Taiwan and China both from the cultivar and processing point of view. We produce three types of green tea: Himalayan Pine (completely machine made) Himalayan Evergreen (partly handcrafted / sorted) and Himalayan Shiiba (a green made from a Japanese cultivar given to Jun Chiyabari by a family friend). In the fully oxidised range there is Himalayan Orange (HOR) which is fully machine made and sorted, HRHT which is partly handcrafted as well as HIB, a dark black tea. In the purely seasonal teas we have HSP (Himalayan Spring) which is a very light and cheerful tea made only in the early spring and GHRHT that we can only make in the winter. Is all of it organic? We have always been an organic tea garden since the first planting in 2001. That includes the nursery! That was one of the guiding philosophies of the garden. Maybe we should have done chemical and then converted to organic as that would have speeded up the establishment of the garden itself but in our hearts we really did not want that. That probably cost us 4-5 years in terms of tea growth but after 16 years and after good feedback from the customers it seems to be worth it. The actual organic certification by IMO Switzerland was in August 2012. We would like to bring in more technology from Japan, Taiwan and China. In future, if there is a possibility we would definitely like to make powdered tea (in the style of matcha) in some small quantity not so much as a money making venture but to lift our own standards in production, agricultural practice, our thinking and attitude. We would like to improve the agriculture side of our tea garden with more seeds and better cultivars than what we have currently. Where do you send your tea, can you provide % of total crop by country? Nepal produces something like 3.5 million kg of high mountain tea. Most of this high mountain tea from Nepal is exported to India. How much tea in total do you produce each year? We are a small tea garden, producing between 15,000 to 20,000 kg per year only. Due to organic practices growth is slow and we are still planting out the garden! Do you feel as if Nepal tea get compared to Darjeeling too much? Yes of course but then we have not helped our cause either. Using Ishikawa Kaoru’s analysis of industrial processes, it is clear that as long as Nepal has mostly Darjeeling’s Material, Machines, Men and Methods we will always be making poor copies of the wonderful Darjeeling teas. They do make wonderful teas (sometimes!!!). The only thing different from Darjeeling is the Milieu. So we have to change the other 4Ms and we really have to up our game. Nepal does not have its own research stations hence no Nepali cultivars despite the immense potential of the old Imperial tea trees in Ilam. Changing this M is perhaps the most difficult and time-consuming. Nepal is mostly using old Indo-British tea machinery. Fortunately, this M is changing quickly. Many of the managers and tea makers in Nepal are from Darjeeling or have been trained by the folks in Darjeeling. I think over time this will change or they will evolve as has happened in our own case. Given all the above and adding the fact that Darjeeling tea has been sold all over the world for 150 years due to the trading connections of the British Empire, people are bound to compare Darjeeling to us. It is up to us to change this. When we first started manufacturing in 2003 it was with Taiwanese machines and not with Indo-British machines just to be different from Darjeeling. It was a conscious decision to move away from the existing paradigm and it was an immediate hit with the tea buyers! Indian machines were introduced 18-24 months later. Thankfully in the past 5 years lots of Chinese machines have come into Nepal changing Nepali manufacturing style and thinking altogether. We would like to think Jun Chiyabari was a catalyst in that change because people saw what we had been doing for almost 10 years with Taiwanese machines and were confident enough to go for Chinese machines. We could afford to take risks and make mistakes with new machines but most small farmers cannot afford to make such mistakes. So we are really glad to have been in the forefront of that change in thinking. We also stopped using Darjeeling nomenclature like “TGBOP” or “First Flush” or describing our teas as orthodox. We are not part of that tea history. Moreover, we use a fair bit of Taiwanese techniques and every tea is also processed in Taiwanese machines so we are not sure we can use the word orthodox in the way that orthodox manufacturing implies. Another example at Jun Chiyabari, in describing our tea we used a more nuanced seasonality that best differentiates our tea. Many of our customers love this new way and have encouraged us forward. Early Spring – about the first 3 rounds of plucking when the character is really different. Apart from this we were also inspired by the concept of Pre-Qingming tea of China. Spring – after 3-4 rounds of plucking the character changes, hence Spring. In the Indo-British system both these would be lumped into First Flush. Early Summer – what is usually called Second Flush. Autumn –Teas from after the rains but before the onset of really cold weather. Winter – Winter tea can only be produced when the cold really sets in and the leaf changes its character totally. It is from very late November or early December till the last plucking. This new terminology has yet to catch on but like non-Darjeeling machines perhaps it will one day. * All photos are credited to and graciously provided by Jun Chiyabari Tea Garden.